Males have a blue body with a grey blaze on the head. Their fins have a purple hue. Their lower face is turquoise. Some may show a darker blue shoulder. A very stunning cichlid indeed. The rarest form of Phenochilus in the hobby. 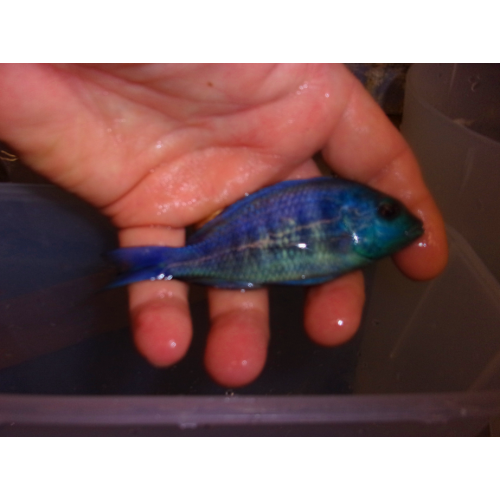 These fish are currently being grown out form the 2-2.75" size from my wholesaler. They sometimes are available on a special order list as well. Base Price is for a 2.5-inch male. 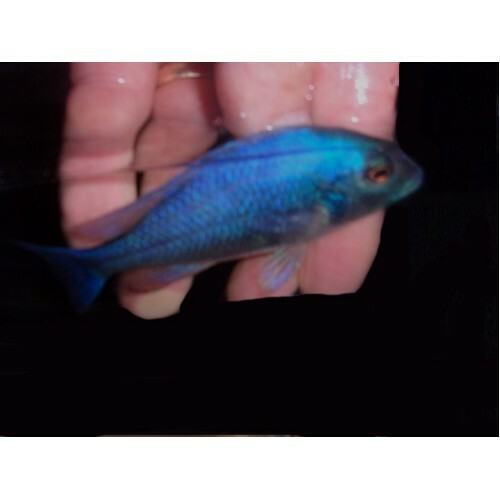 Scientific Name Placidochromis sp. "Phenochilus Gissel"